ETB is encouraging motorists to make quick-and-easy tyre checks ahead during the summer holidays, as the unpredictable British weather raises concerns for road safety. ETB has issued the plea as thousands of motorists continue to prepare for ‘mini breaks’ and holidays around the UK, coinciding with a week of wet weather in large parts of the region. It is reported that British motorists spend almost £1 billion a year on fuel just from driving on under-inflated tyres. Under-inflation can also cause rapid and uneven tyre wear. 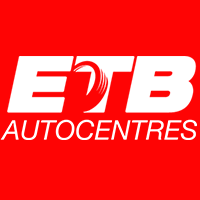 ETB’s Paul Nunn Retail Director said: “If motorists could spend just two or three minutes checking their tyres before their travels, they will definitely benefit in the longer term. ETB has come up with three simple checks in the hope of reducing the number of illegal road users in the weeks and months to come. With sufficient tread depth, motorists can drive with total confidence, even if the weather takes a turn for the worse. The legal minimum tread depth is 1.6mm. Insert a 20p coin in the tread; if you can see the border, it’s time to change the tyres. Make sure that tyres are pumped up and ready for the road. Remember that the correct tyre pressure is different for a fully laden car. Check the inside edge of the car door, fuel tank door or user manual for correct pressure values (front and back). Don’t forget to check tyres in cold conditions for an accurate read. Cuts, scuffs, abrasions and other forms of damage can easily get worse over a long journey. If in doubt, check with a specialist before taking the risk. Paul added: “Worn tread, incorrect inflation pressure, damage and irregular wear all have a range of negative effects, including higher fuel consumption, reduced life and compromised safety.